Social network Ello faces first major outage. Facebook to announce rebuilt ad platform Atlas today. These stories, and more, in today's Morning Social Media Newsfeed. Ello, the ad-free social network, has attracted a surge of interest in the last week. Created by Kidrobot founder Paul Budnitz, the site is still in beta and is currently invite-only, but it cracked Google’s top 10 hot trends list on Wednesday, and Betabeat reports that Ello is getting nearly 4,000 requests to join an hour. 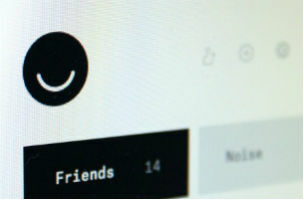 TechCrunch The suddenly hip social networking site Ello experienced its first major outage, suffering a Distributed Denial of Service attack that brought it down for approximately 45 minutes. The company says that it was able to fix the issue by blocking the IP addresses responsible for the attack. The Next Web Visiting any of the site’s pages resulted in the following error message: “The site is currently unavailable while we conduct some necessary maintenance. Follow along for any updates on our status page.” The company started investigating the DDoS attack at 4:15 p.m. EST. Today Facebook will roll out a rebuilt ad platform, called Atlas, that will allow marketers to tap its detailed knowledge of its users to direct ads to those people on thousands of other websites and mobile apps. For example, if PepsiCo, one of the first advertisers to sign on to the service, wanted to reach college-age men with ads for its Mountain Dew Baja Blast, it could use Atlas to identify several million of those potential customers and show each of them a dozen ads for the soft drink on game apps, sports and video sites. Atlas would also provide Pepsi with information to help it assess which ads were the most effective. Facebook teamed up with Billboard to study fans of National Football League teams and which musical artists they are most likely to like on the social network. In compiling “Gridiron Grooves: Favorite Artists for Facebook Fans of Every NFL Team,” Facebook said it identified the band or musician liked by a higher proportion of each NFL team when compared with football fans on Facebook as a whole. Political advertisements aren’t just on your television screen anymore – campaigns are increasingly trying to sway voters with social media, as well. With Election Day just weeks away, political ads are filling the airwaves, and they’re also popping up on your computer. An increasing number of the enterprise focus software companies, like Dropbox, Convo, Google, and Microsoft, are building products that allow people to collaborate. Now Slack, a conversation platform for businesses, is building up its own collaborative features with its recent purchase of Spaces, a tool that lets people work in the same document simultaneously and remotely. Baseball fans took over social media Friday morning with clips from Thursday’s Yankees game. Clips of Jeter’s walk off single, his farewell lap, and his adorable nephew are all over the place. You can even watch a handful of different versions of that walk-off cut from various broadcasters.